Hidden Language of Hatha Yoga is a name given to the approach to yoga practiced by Swami Radha (1911-1995). Born in Germany, Swami Radha traveled to India, where she studied yoga under the guidance of Sri Swami Sivananda, one of the most seminal teachers of yoga in this century. She was the first Western woman to be initiated as a swami. Swami Radha taught yoga throughout the world. Her approach to yoga explores the emotional, psychological, and symbolic aspects of yoga postures and practice—in what she referred to as the "hidden language" approach to yoga. 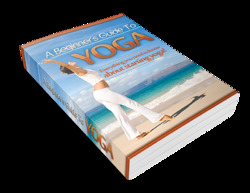 Her work is preserved through the many books on yoga she authored and through the centers and organizations she established. These include the Yasodhara Ashram in Canada, the Association for the Development of Human Potential in the United States, and numerous urban teaching centers, called Radha Yoga Centers, in North America and England. For information on Swami Radha's books and tapes, and links to other pertinent sites, visit the Website of Timeless Books, the publishing arm of Yasodhara Ashram: www.timeless.org.